Asset Creation and Implementation: Created an accurate replica of the IOS front end and implemented it inside the unity game engine. 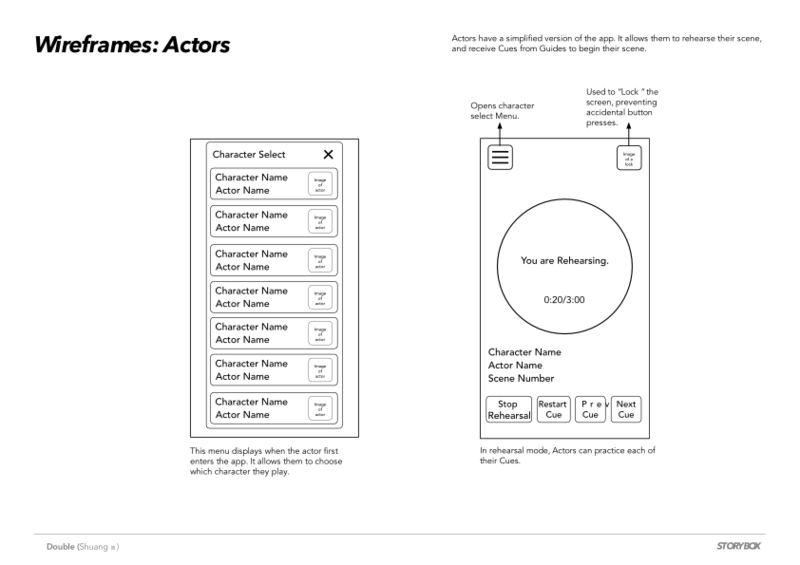 User Flow: Designed the user flow for the four critical users of the app, actors, audience members, guides and production staff. Branding: Assisted in the branding design for the show, by pitching ideas and working with the Chinese side of the production to theme the app appropriately. To make the show more immersive, my main focus was to help recreate the look of IOS in accurate detail, making the app feel like it was a real phone to the audience members. All the assets used in the show were recreated by me in illustrator and then implemented in unity using the built-in UI system. 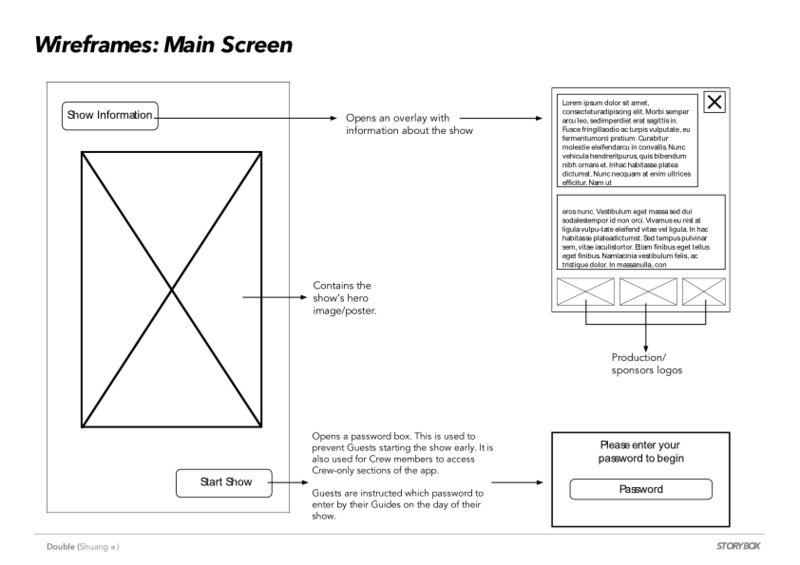 Along with the shows visual assets, I was also involved with working on user flow for the app. The challenge was to create an experience for the Audience, crew, and Actors to quickly gain access to their respective parts of the app. With the most important being the flow of show setup. Creating a setup experience that guided both audience members and guides through the process of syncing each app together using Bluetooth, quickly. Duality was a collaboration between STA (Shanghai Theatre Academy), Storybox and Shanghai International Arts Festival. As an adaption of the format used in Storybox's Previous Immersive theatre project The Woman Who Forgot. Via the app, audience members are fed information about the character they are embodying and the world they inhabit. They receive text messages, voice messages and video recorded conversations replicating real-life digital services, all of which are controlled by the story app. This experience is then enhanced by a real-world element where the audience members encounter live actors in and around each of the locations of the story. Each actor helps to build on the pieces of information that have been delivered via the phone app, creating a surreal experience that's rarely felt in traditional theatre experiences.